The Buffalo Explorer Leather Motorcycle Jacket is part of the latest Buffalo collection. 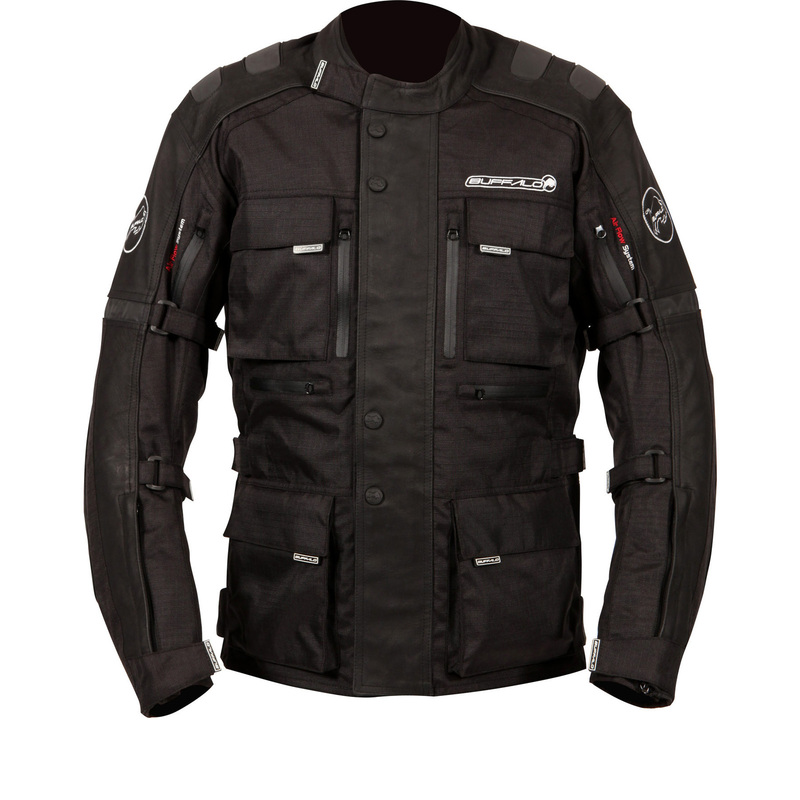 From home to trail and from winter to summer, the Buffalo Explorer Leather Motorcycle Jacket is the ideal all-rounder. 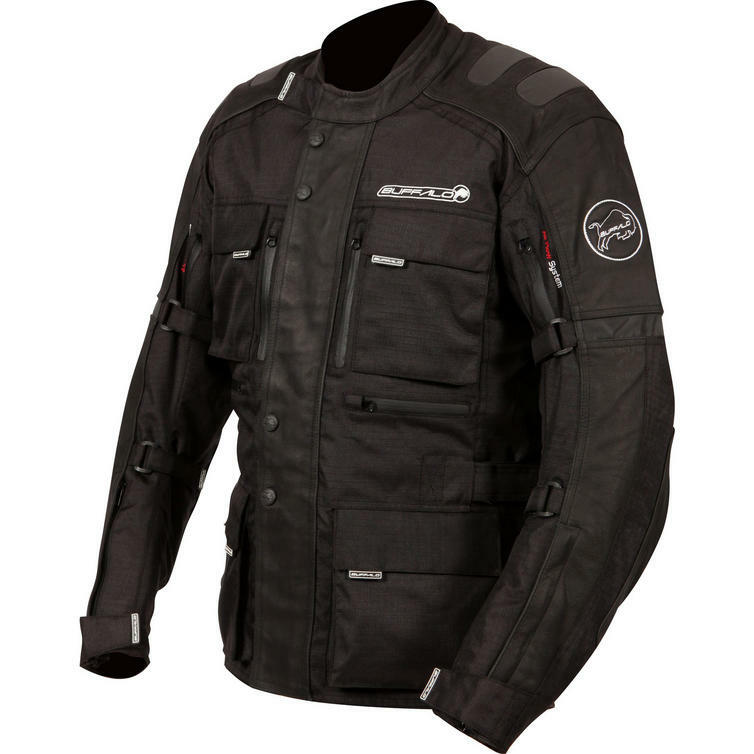 Rugged 600 Denier ripstop polyester and leather prevents snagging, while the shoulders and elbows feature removable CE approved armour. 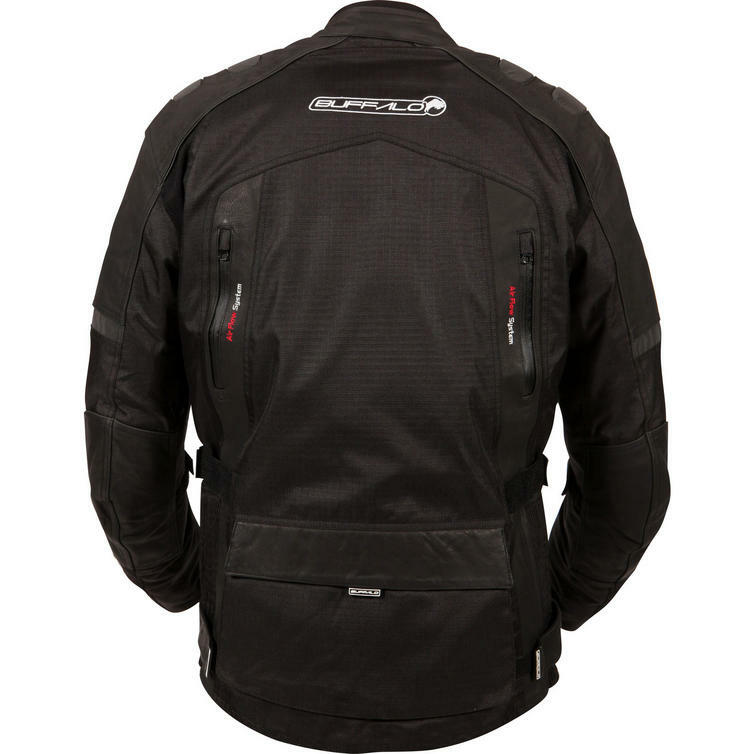 A removable 120 gr thermal lining provides winter warmth, with cooling vents for summer. A waterproof, windproof and breathable lining locks bad weather out. 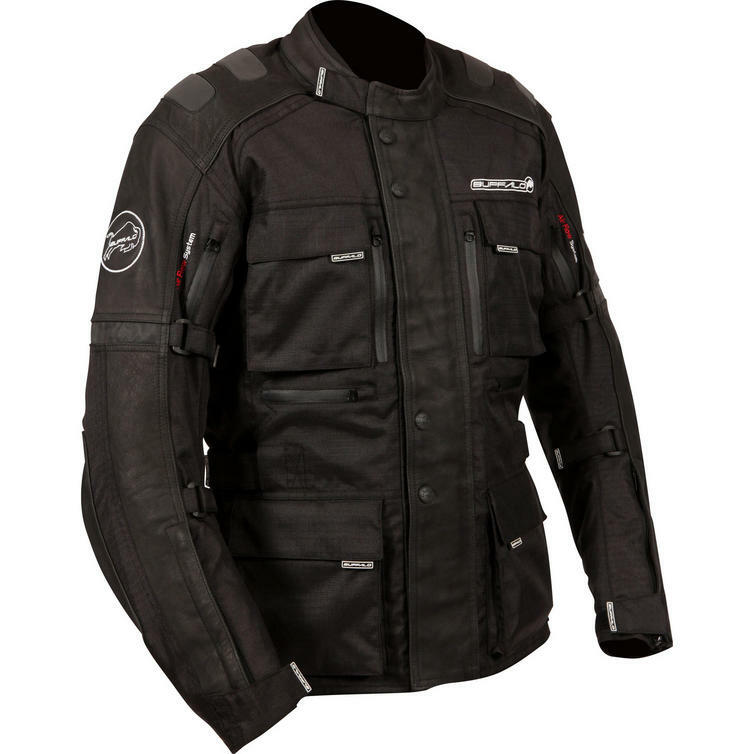 View all Buffalo Motorcycle Jackets. 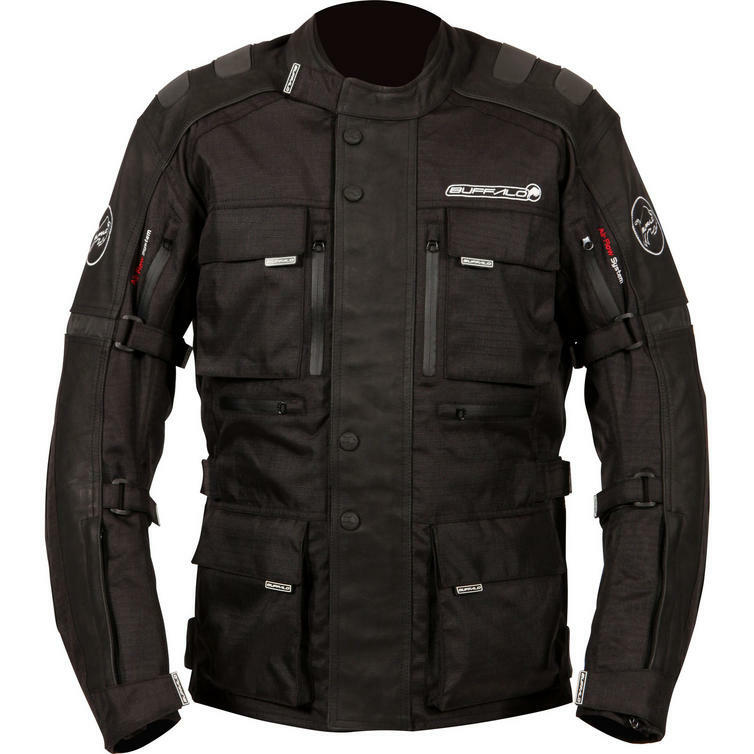 View all Leather & Textile Motorcycle Jackets. UK / US Chest 38"